Based on the novel by Suzanne Collins and starring the talented Jennifer Lawrence, The Hunger Games is a brutal, exciting action film with an emotional core. It is an action movie with brains as well as brawn. In the future, North America is no more and is now known as Panem. It is split into the Capitol and twelve districts, alternating between the poor and the rich. 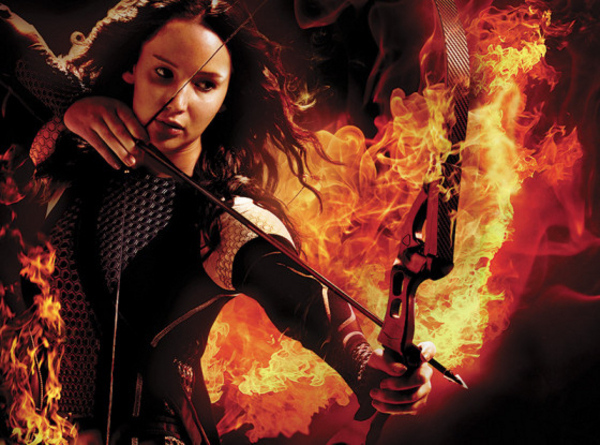 The young and resourceful Katniss Everdeen lives in District 12 with her mother and sister Prim. Every year, as punishment for an uprising years before, a boy and girl, between the ages of 12 and 18 are selected to take part in the eponymous games. The games consist of surviving and fighting literally till the death on live television, until someone emerges as the champion. When her sister is selected, Katniss volunteers to take her place so that her sister can escape the brutality of the games. Also selected is Peeta, a boy who helped Katniss when she was starving years before. What unravels after this is a thrilling, bloody and shocking contest and memorable film. 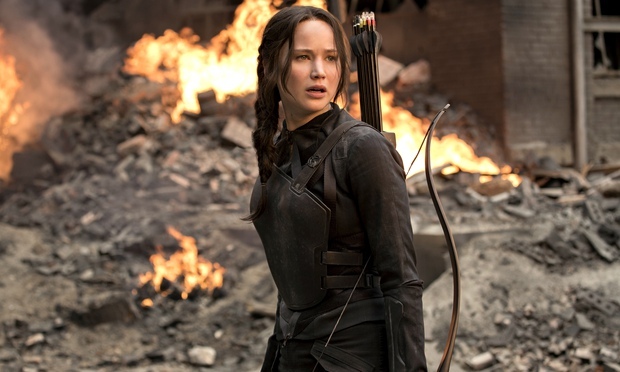 Jennifer Lawrence is amazing as Katniss, showing her steely strength but also an underlying, human vulnerability. She is a memorable heroine, battling not just with a bow and arrow of which she is accomplished, but also her wits and own initiative. Lawrence fits the part of Katniss like a glove, showing us her capability in the acting world. Woody Harrelson is strangely touching and knowing as her alcoholic mentor. An almost unrecognisable Elizabeth Banks plays the avant-garde Effie, commonly seen in outlandish costumes and speaking in a funny and memorable voice. Music fans should look out for a supporting role by Lenny Kravitz as a sympathetic advisor and stylist to Katniss. In supporting roles, Stanley Tucci and Donald Sutherland are respectably amazing as always. The use of up close camera shots and shaky footage may put off some viewers, but I personally thought it added to the overall kinetic feeling of the film. The first half builds up to the opening brutal event, by what can only be desc ribed as a mixture of reality show references on acid, and not meant in a bad way. 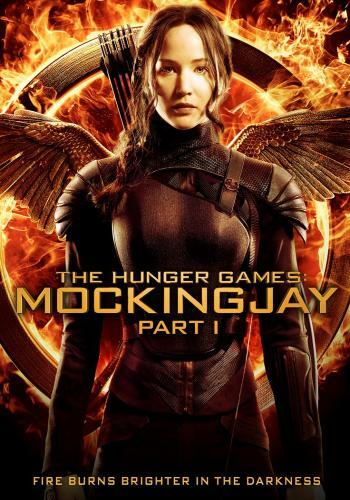 The second half of the film becomes more frenetic as the brutality continues involving scavenging for supplies, deadly poisonous creatures called Trackers and Katniss battling her way bravely through it. The sections of the games and each of the tributes battling literally to the death reminded me of Lord of the Flies, but the futuristic version. Although only rated 12, director Gary Ross has included many bloody and savage instances of violence so as not to dilute the original source material. 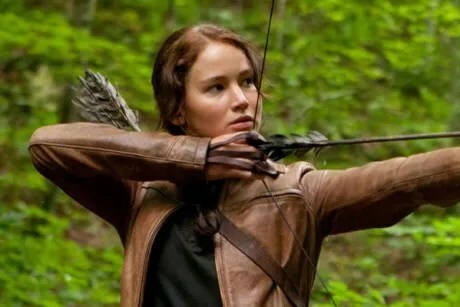 To stop it from being gratuitous, the main character of Katniss gains the audience’s sympathy and rooting for her character saves it from being purely a gory bloodbath with no story at all. Many people have said the film would be better if it was rated R. As I haven’t read the book I can’t vouch for that. 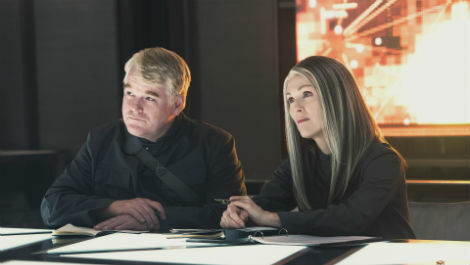 If you are looking for an action that delivers on performances and story as well as violence, The Hunger Games is a decent bet for you. The cast is uniformly excellent, with Lawrence anchoring the proceedings with her strong yet touching presence. The only minor quibble I have with the film is the running time, if it was trimmed slightly it would benefit. Regardless of that, the film is a brutal, bloody and entertaining view of a dystopian future and reality shows gone to far.